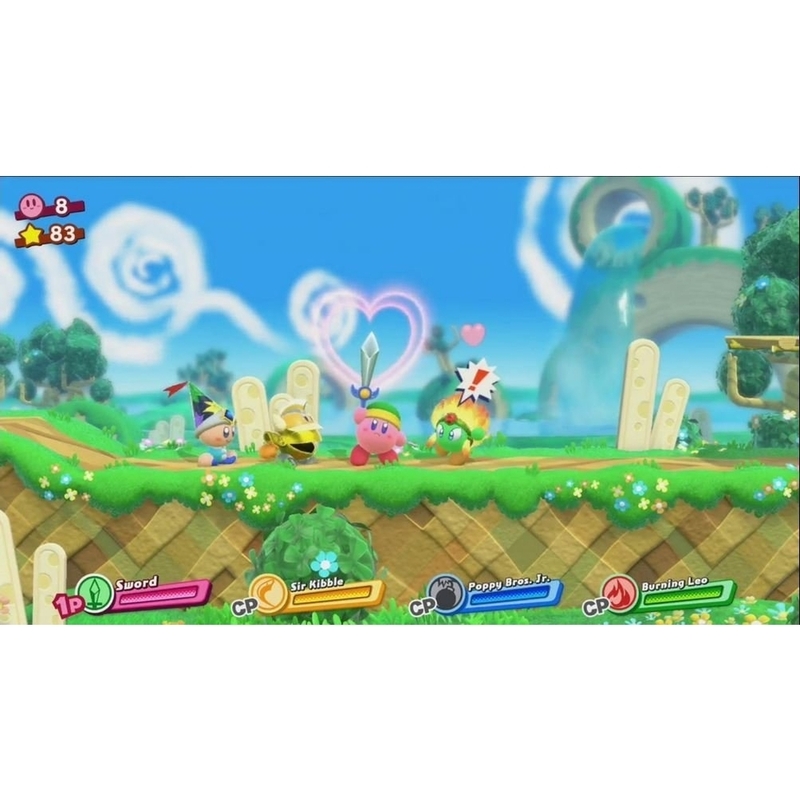 When a new evil threatens Planet Popstar, Kirby will need a little help from his…enemies?! By making friends out of foes, up to three* players can drop in or out of the adventure at any time. 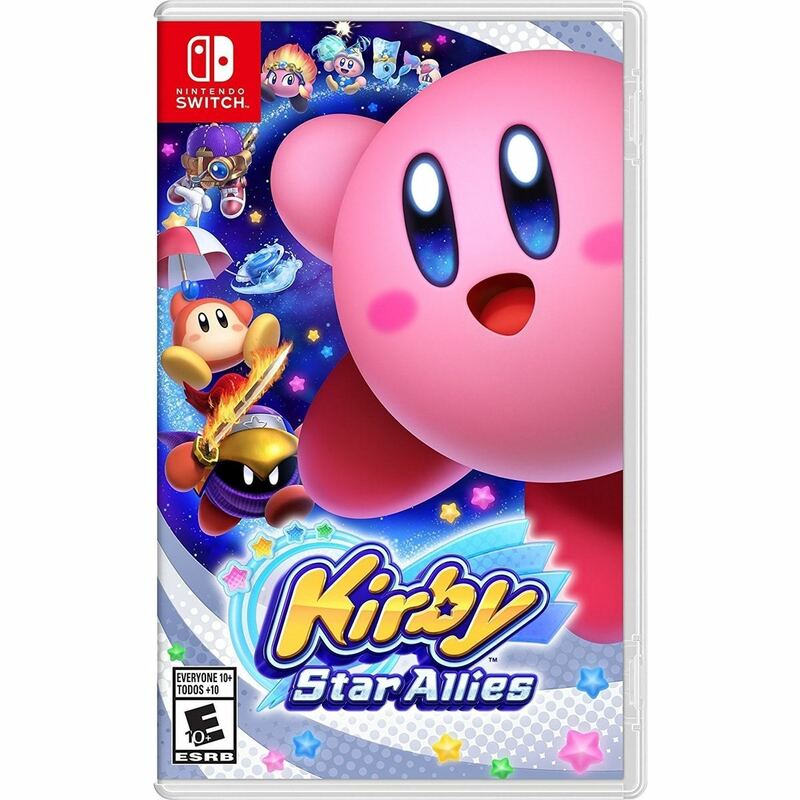 With new and expanded copy abilities, classic Kirby action is deeper than ever: combine abilities with elements such as ice or fire to create new friend abilities! 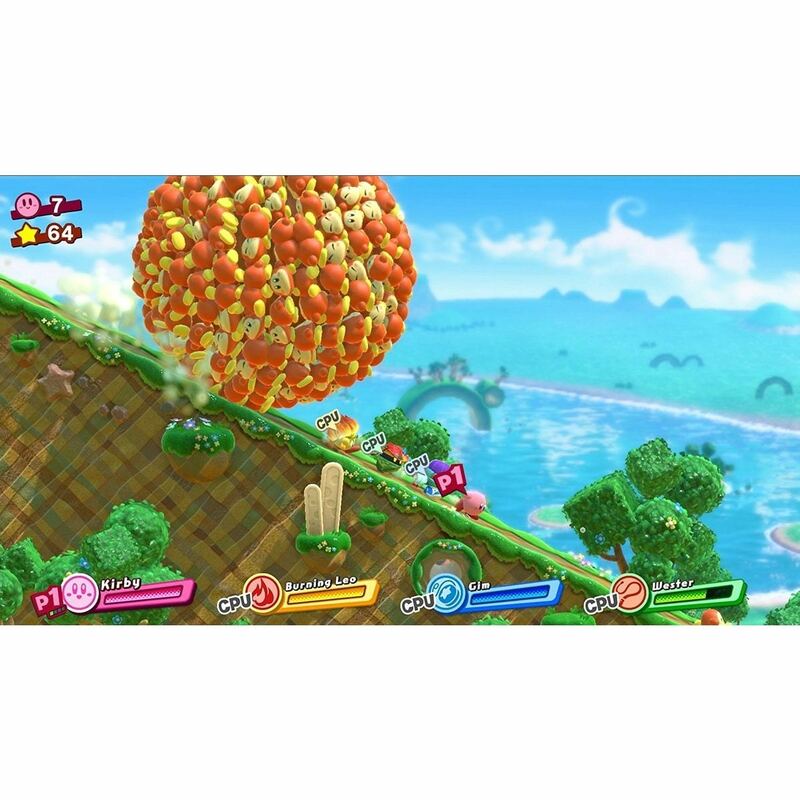 With tons bosses and enemies standing in your way, Kirby has a new bag of tricks. 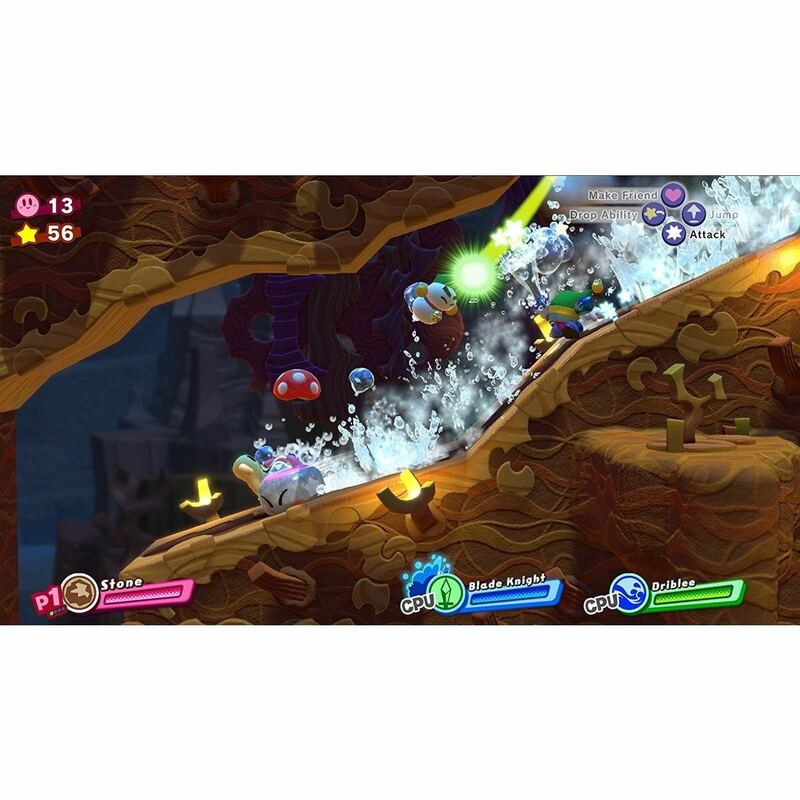 Take baddies out by taking advantage of their elemental weaknesses.